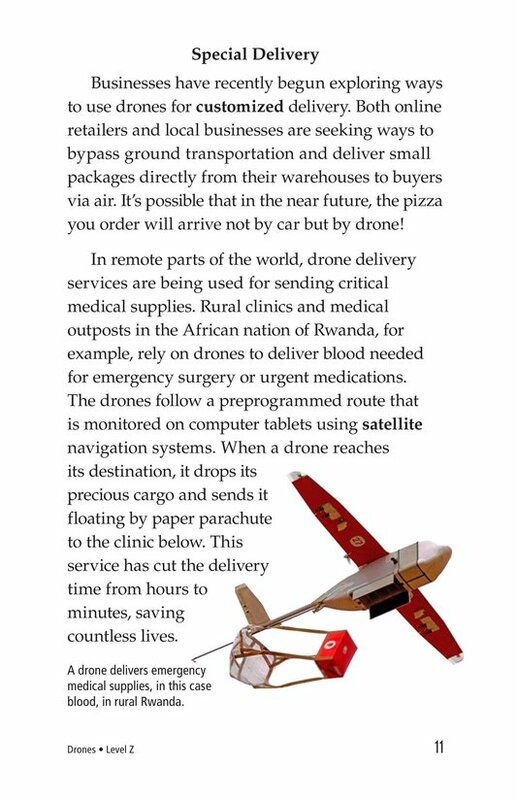 Can you imagine your next pizza being delivered by a drone instead of a car? 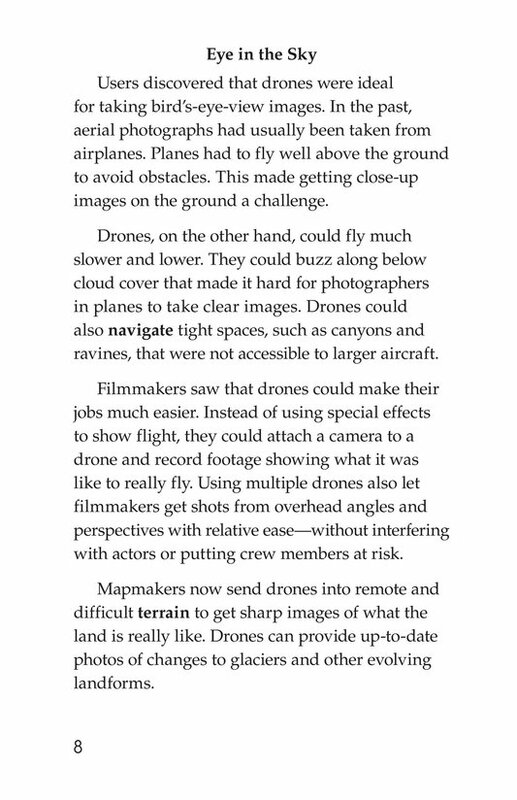 It may seem like something out of a movie, but it's already a reality! 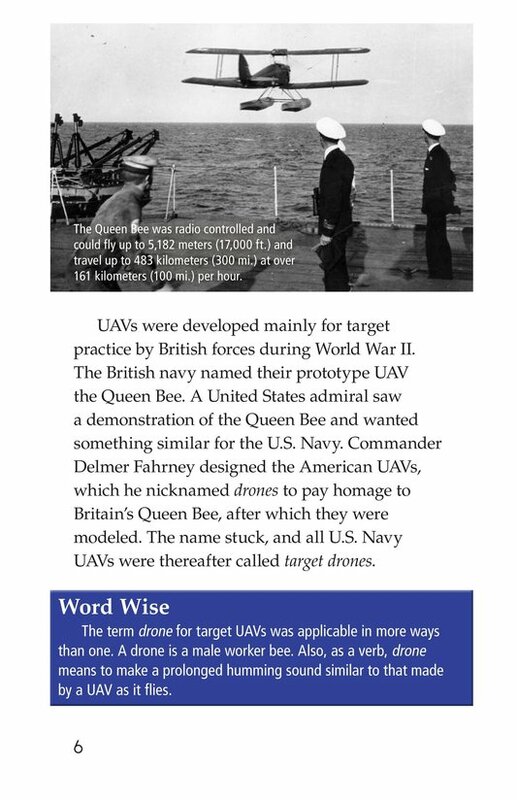 Drones informs students about these unmanned aerial vehicles, including their history and modern-day uses. 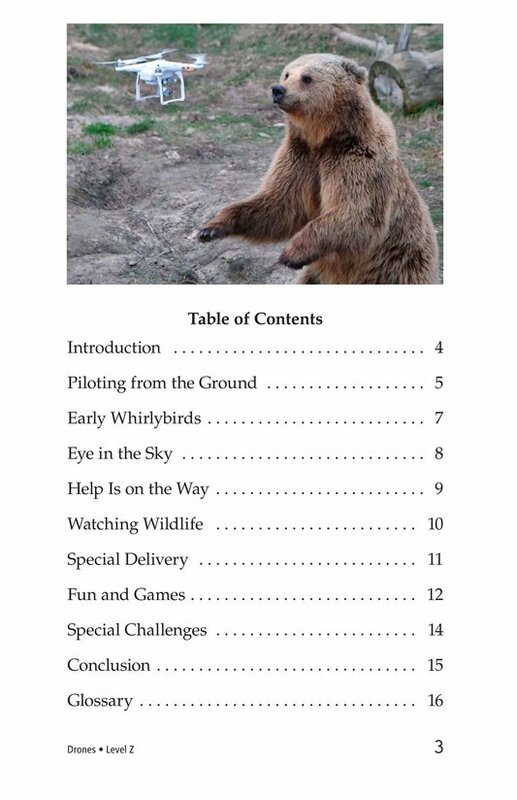 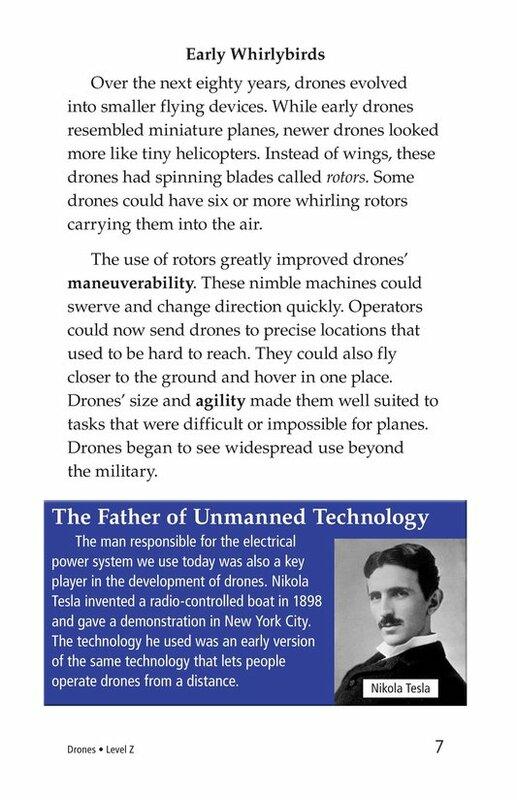 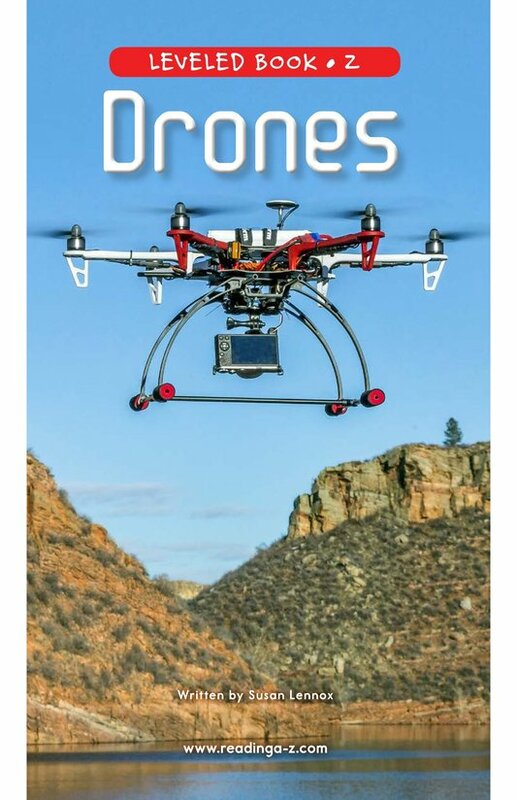 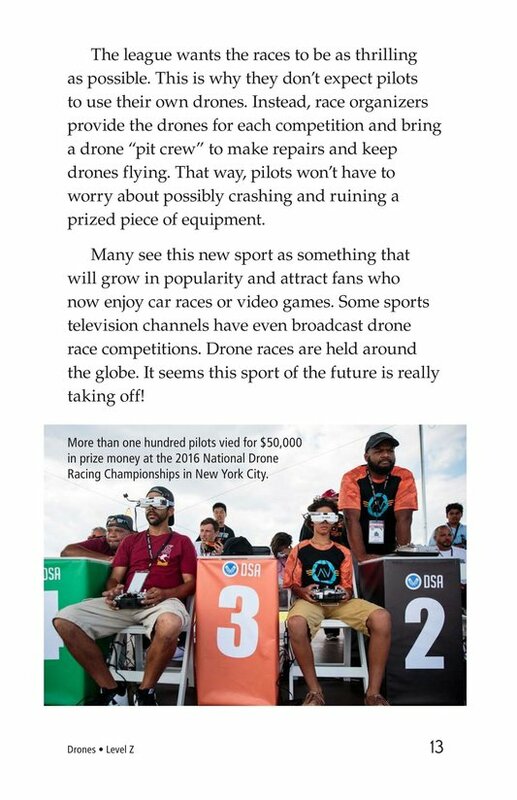 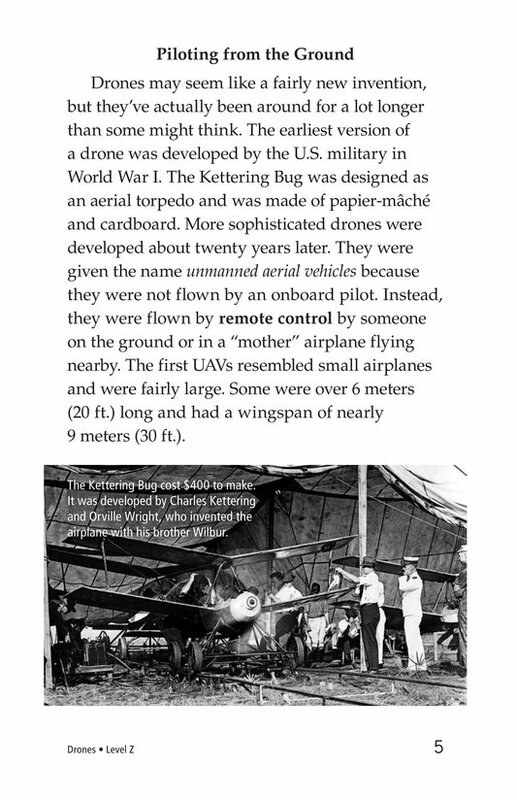 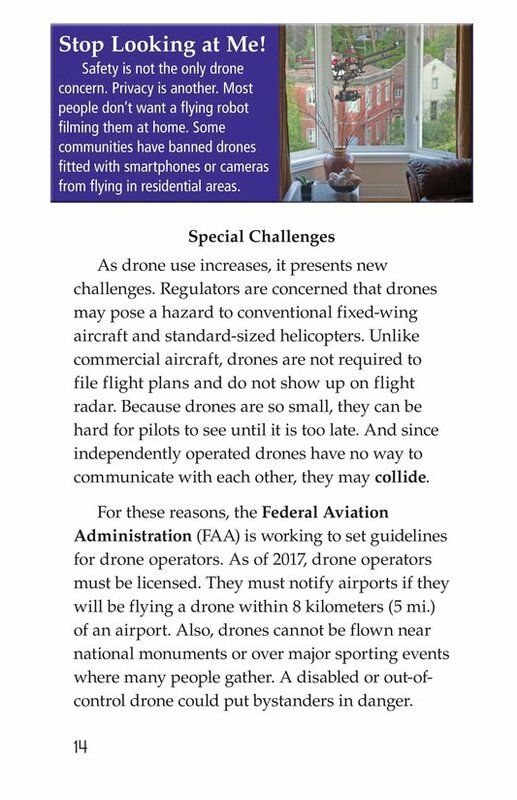 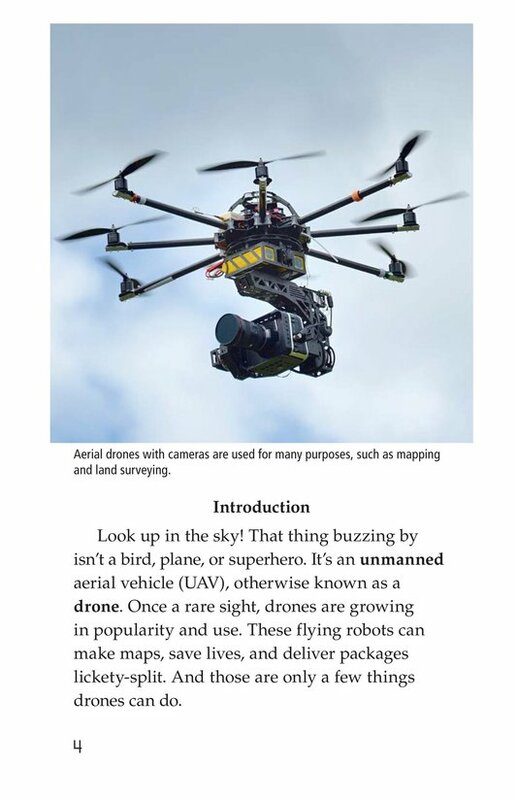 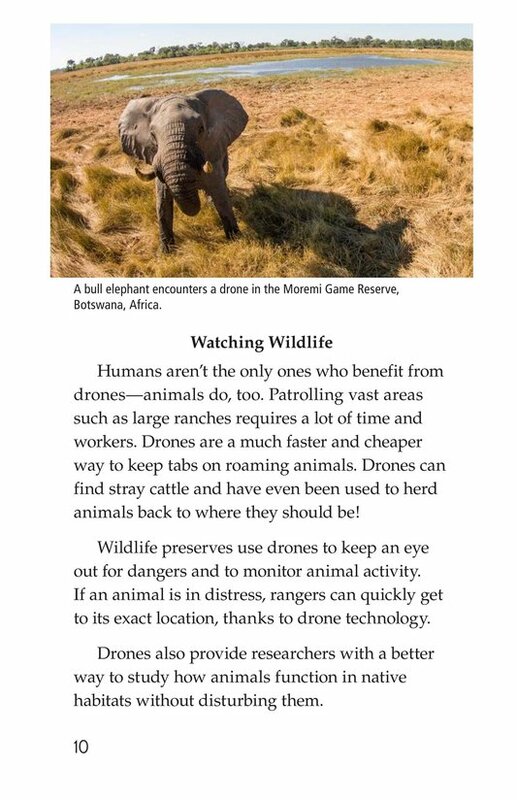 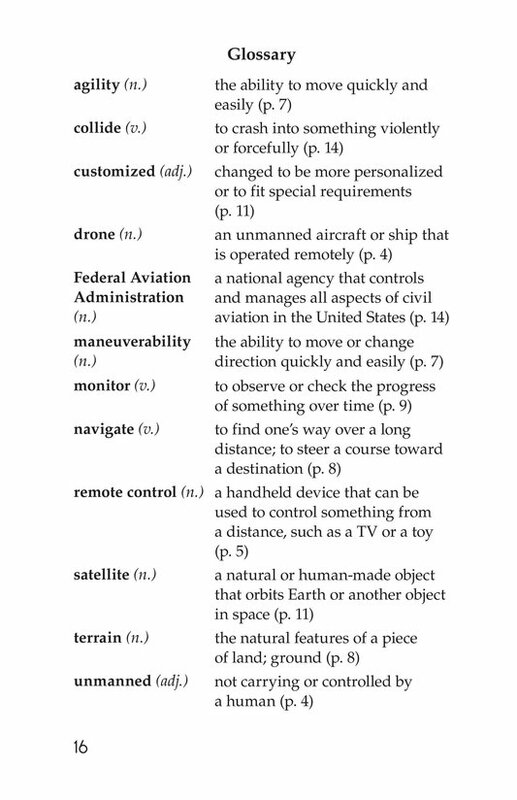 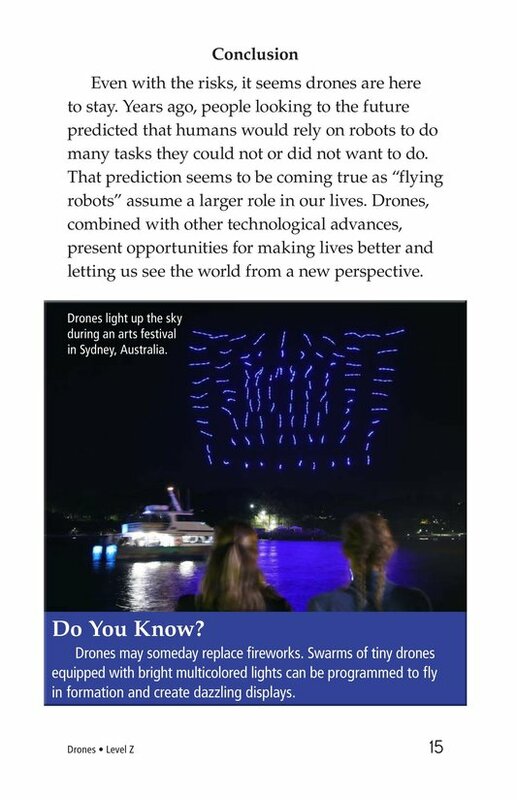 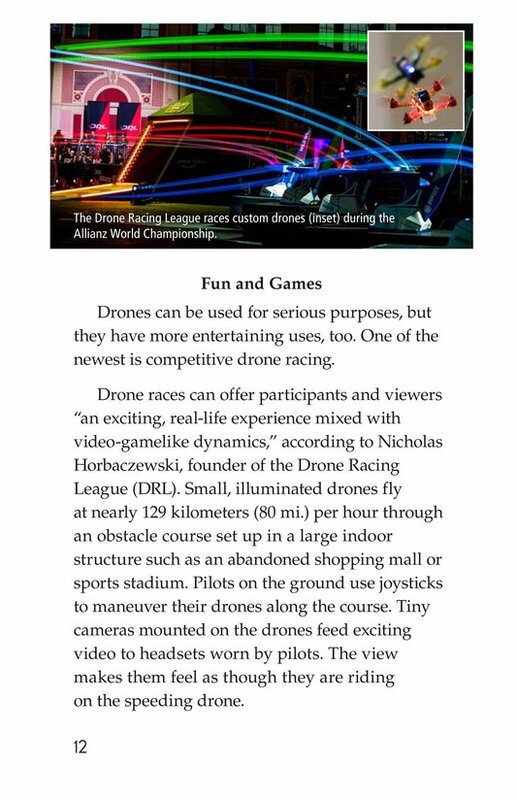 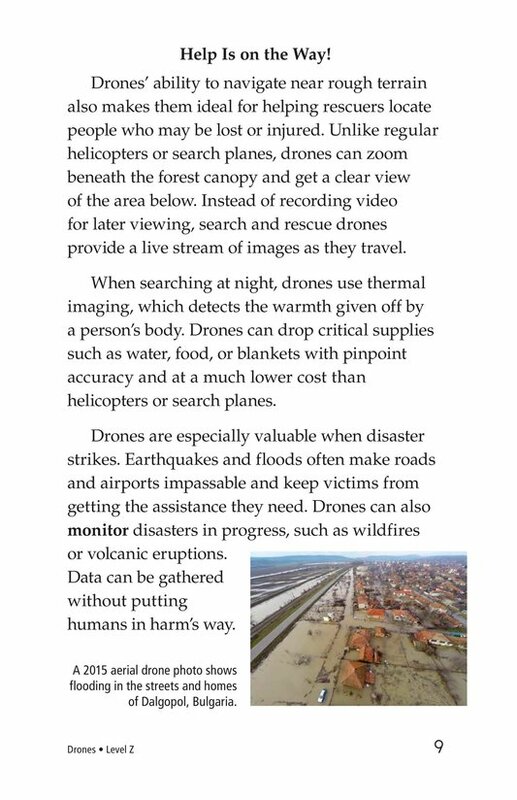 The book presents some benefits and drawbacks of drone technology and encourages students to form their own opinion. 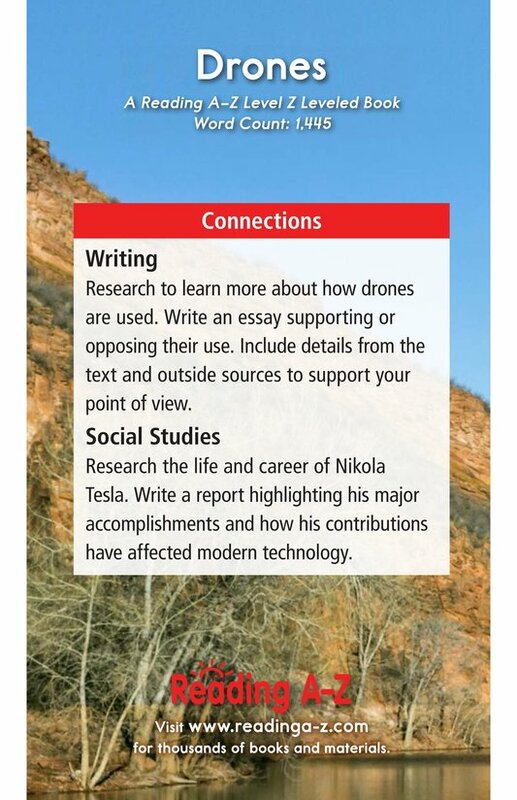 This timely, fascinating topic and detailed photographs will keep students engaged while also giving them an opportunity to summarize and determine the author's point of view.